I’m sad to say that my team here in Korea will not be moving on to the playoffs this season. This is a huge disappointment to me because honestly I wanted to win the championship this year! This is my third season in Korea and the same team has won the championship for the last two years and are currently on track to win a third. I guess it wasn’t in the cards for me this season but as with anything I will certainly take away some positives and use this as another learning experience. Korea is a great country and if you ever make your way to Asia be sure to swing by South Korea for a visit. You must try the different street foods, eat some Korean BBQ and drink some Soju. Peach flavor is my favorite. As I wrap up my 10th or 11th season overseas (I’ve lost count) I’m about about to do something I’ve never done before. Go on a vacation ALONE! This side of the world is very far from home. Its a 14-hour flight from Washington D.C.! After my first season playing in Korea, some friends and I went on vacation to Thailand! It was one of the most amazing vacations I’ve ever been on! Last season, I didn’t go anywhere once the season ended and I told myself I wouldn’t let that happen again! To be on this side of the world and not make time to visit other south east Asian countries is a huge mistake! The chances of me flying back this way for a vacation are slim to none. I just can’t do that long of a flight. So the solution is, since I’m already here GO SOMEWHERE! At first I was going to go to Japan but after doing some online research the beach was calling my name and Boracay, Philippines is my destination of choice. 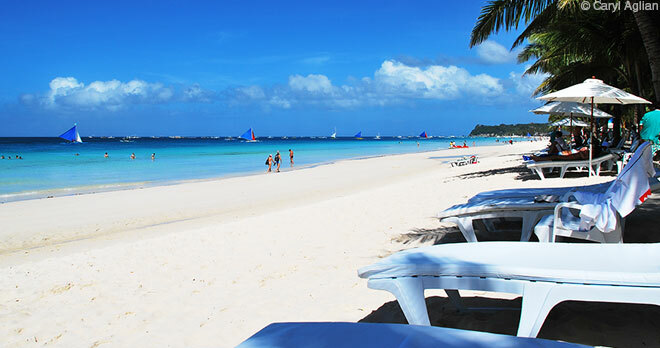 I wanted to visit multiple countries but I’ll just be going to Boracay this time around. People often times miss out on trips and vacations because they don’t have anyone to go with or friends and family can’t coordinate schedules. I won’t let this deter me and for the first time I’m going on vacation all by myself. At first I was a little hesitant about the idea but after I clicked buy on Expedia the other day it was a done deal! So soon I’ll be packing my things and heading to another country all by my lonesome. I’m really excited and looking forward to the trip. A lot of people have been very supportive and encouraging towards me. I’ve heard from a lot of people who have been on vacation alone and they all say it is an amazing experience! You’ll be on your own schedule. You can wake up and and go to bed when you want. Choose when and where you want to eat, where to hang out, what activities you want to do and not have to worry about anyone else but yourself. Of course I would rather not go on vacation alone but I think I will have an amazing time. I can use the time to reflect, rest and prepare myself for this upcoming WNBA season. Maybe it will be like going to the movies alone which I’ve only done once. I felt a little weird at first but once the movie started that’s all I was worried about. I will be sure to let you know how my vacation goes. 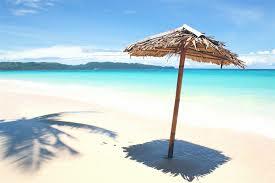 The pictures of Boracay are amazing and I surely hope that I will return with a tan that you all will envy! Talk to you soon! Follow me on snapchat mocurrie25 to follow along!